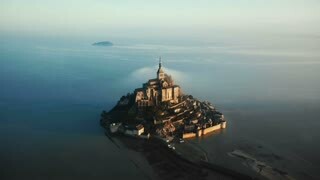 Epic aerial shot of ethereal Mont Saint Michel island castle covered with amazing sunrise fog clouds flow in Normandy. 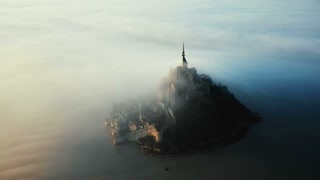 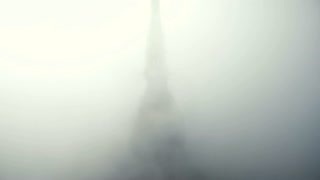 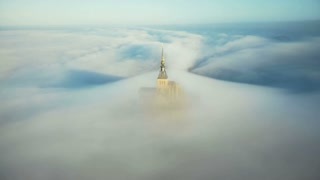 Beautiful aerial shot of thick fog covering mystic ancient castle of sunrise Mont Saint Michel at the edge of darkness. 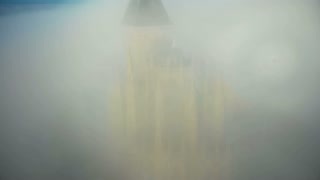 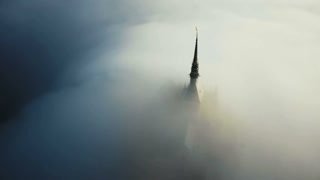 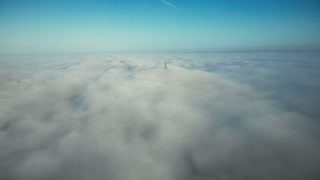 Drone flying away from ethereal Mont Saint Michel castle spire covered by atmospheric sunrise mist clouds in Normandy. 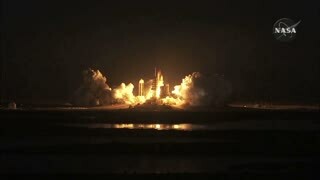 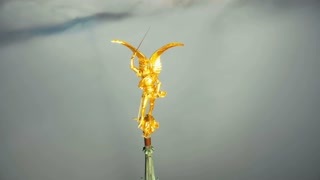 Extreme aerial close-up shot of heavenly golden Saint Michael angel statue on Mont Saint Michel sky castle steeple top. 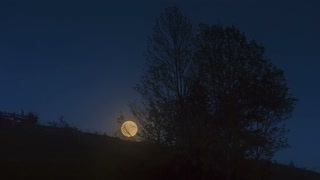 Lonely boat at night with a beautiful big waxing moon above the sea. 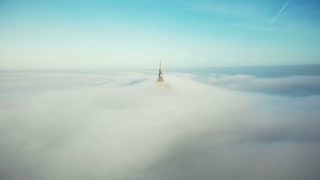 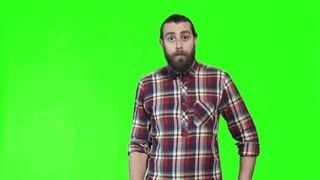 지구 위의 궤도를 도는 우주 정거장.